Do you know a child who gets antsy after sitting a long time? Is homework or seated work a chore? 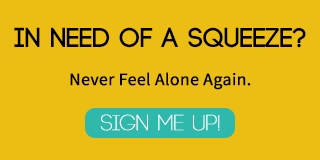 Believe me when I tell you, you are not alone! In fact, this is something we have struggled with both in our home since we started to homeschool, and in the past when we had to struggle through our homework from public school. A few years ago, I started incorporating brain break exercises into our daily routines and quickly learned how much easier seated work was for everyone involved. 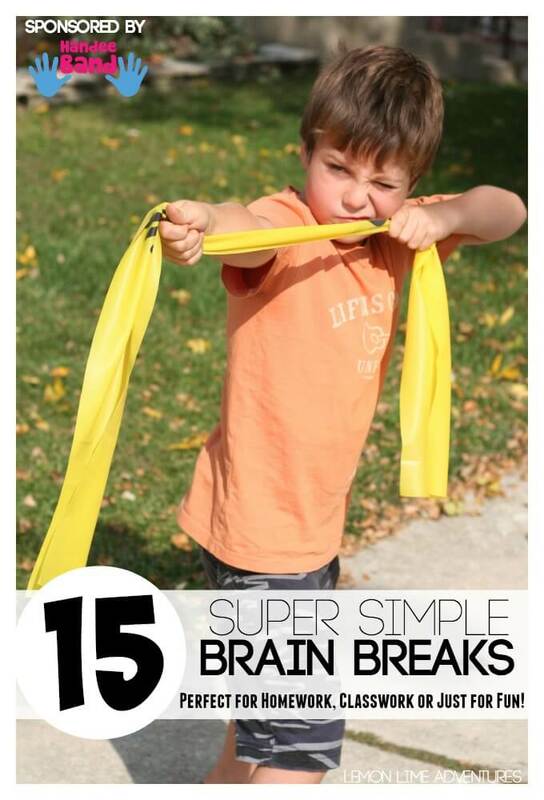 I am excited to be working with our awesome sponsor, Handee Band, to bring you 15 super simple brain breaks you can use with your kids at home, in school, or just for fun! At the end, we have a little surprise for you, so be sure to stick around to check out our little gift to you! What are Brain Break Exercises? Brain breaks are simple, easy to do exercises that engage the body and brain in activity. They are used as a break from seated work, as a calming activity after high levels of excitement, or as an arousal exercise after long periods of “brain work”. They can be as simple as hopping on one foot or practicing yoga stretches. They can pre-determined by a set of cards and instructions or they can be impromptu. These simple exercises are a wonderful way to engage children in movement in a fun and exciting way when getting to the park or a large open field isn’t immediately available. Why are Brain Break Exercises Important? Research has proven time and time again that kids need to play and they need movement to learn. Brain breaks are excellent for providing children with quick and easy ways to incorporate that movement into their school day, when they would otherwise be sitting for long periods of time. Another incredibly important factor in child development and learning is the organization of their sensory systems. A child’s sensory system is directly tied to their ability to sit in a chair properly, hold a pencil and even write legibly. 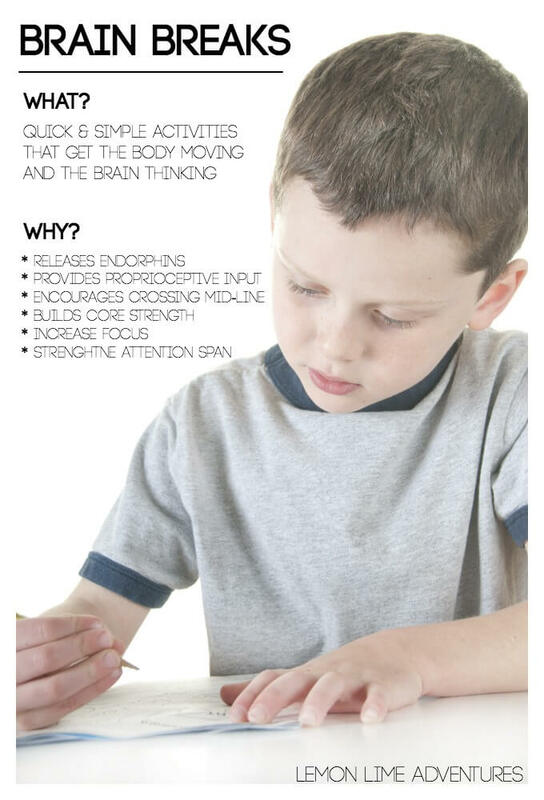 These daily “school” tasks require children to have increased muscle control and core strength, which they often lack. 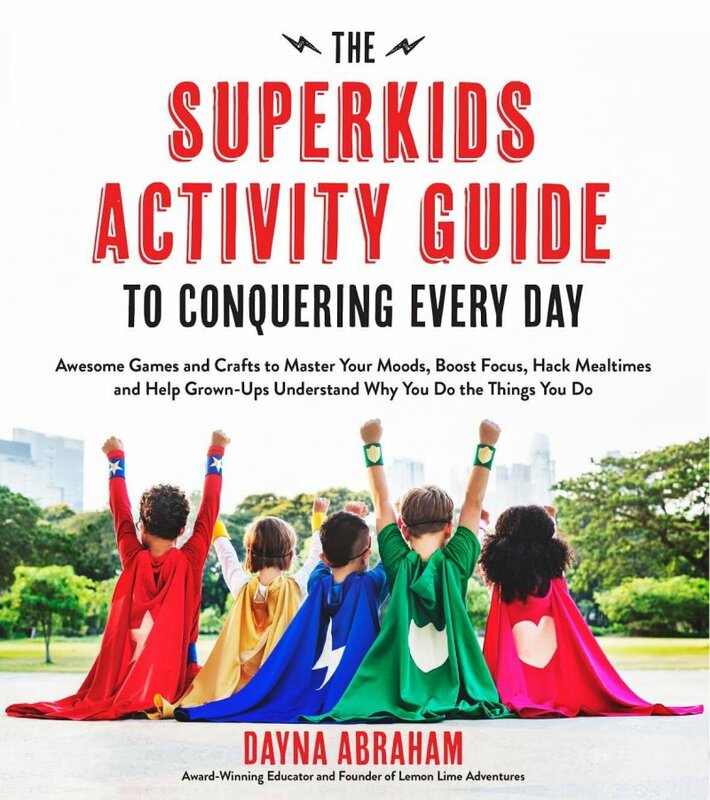 With just 5-15 minutes a day, brain breaks will increase upper body strength, increase muscle tone, allow children to gain motor planning skills and so much more. Our sponsor, Handee Band, makes these brain breaks even easier with an easy to follow guide with ADORABLE characters that your children will love (I know mine do). Handee Bands provide sensory (proprioceptive) input so children gain a better understanding of where their bodies are in space and the amount of pressure required when pushing or pulling. Proprioceptive feedback can be calming for a child who needs to move constantly or is very active. The first time I saw Handee Band I knew it was something I had to try! I could tell the benefits without even seeing the whole package. They have this awesome video that shows just how great the bands are for strengthening exercises and sensory input. What I didn’t realize until I received our kit in the mail, was just how great this tool was for independent brain breaks and sensory work! My kids immediately fell in love with the 15 characters and the adorable drawings of exercises to try. I thought I might have to beg them to try all of the exercises, instead, they wanted to try ALL OF THEM! However, it didn’t stop there! During our homeschool day, we have a schedule of one brain break exercise or heavy work activity after ever “sitting/focused” activity. Since the boys are different ages (7 and 9), they often get finished at different times and one has to do their “brain break” on their own. The Handee Band was perfect for this! The kit comes with 15 simple and easy to follow exercises that are in the cutest little tri-fold book. 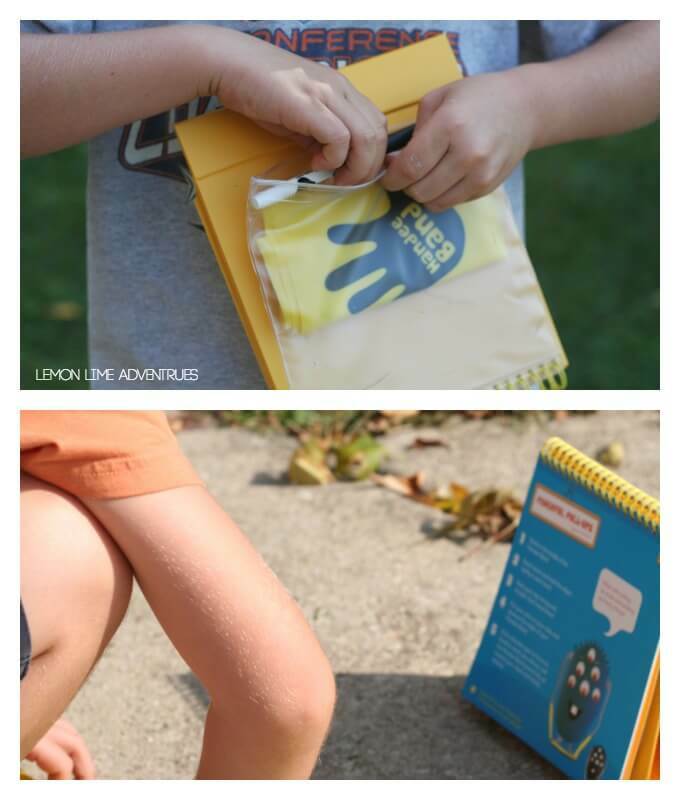 The book has a handy chart, dry erase marker, reward stickers, and a zipper bag to house everything including the Handee Stretch Band! The exercises are easy enough for my 7 year old to read, but engaging enough for my 9 year old to do time and time again. The boys favorites and go to brain breaks have quickly been identified. Some of the exercises included (but you are definitely not limited to just the exercises and brain breaks in the book). Which brain break do you think your children would like most? 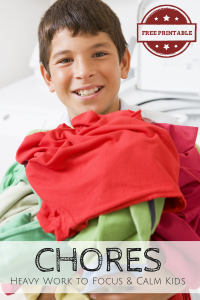 Do you currently have a system for getting your kids to move? I would love to hear all about it! Better yet, I would love to see them! You can share them with me on Facebook, Twitter, Google+, Pinterest, Instagram or subscribe by email in the sidebar. 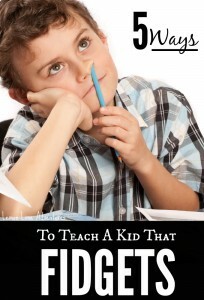 Looking for more Brain Break Exercises or tips for a Fidgety Child? I am the mother of a child with special needs and a school Autism Specialist. I think my students would particularly love the bow and arrow or super hero stretches! Wonderful! This sounds like the perfect tool for you! This looks great. I have a kiddo who needs lots of brain breaks! 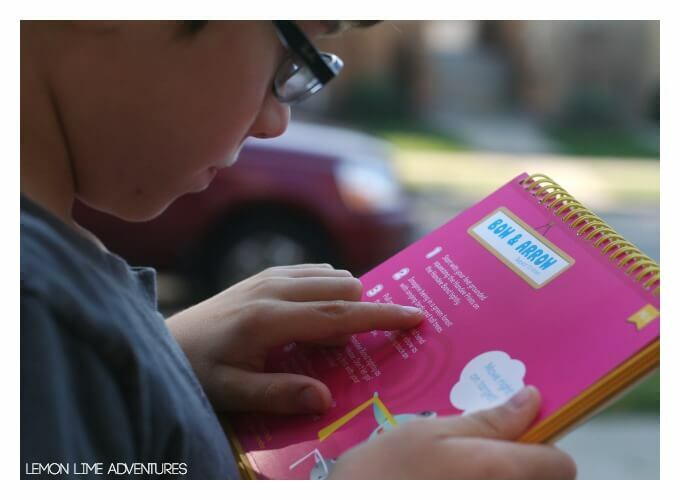 I love hearing that you have brain breaks after each sit down activity in homeschool! That’s what we do, too. I thought maybe I was giving them too often, but those 10 minutes or so really do seem to help! We couldn’t get through the day without them! Trust your gut, you know your kid needs! I love the idea of short little brain/movement breaks during our homeschool day! Based on the fun list of exercise you have here, I can’t imagine my kids wouldn’t love all of them. Frog jumps, race cars, and helicopters? My son would be thrilled to try these! 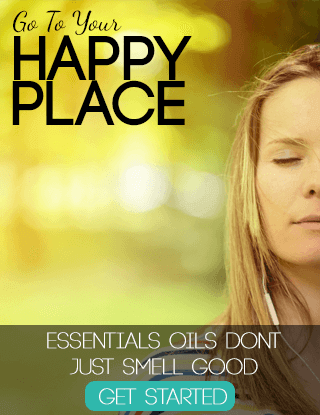 They really are a blast and full of sensory benefits! Good Luck! I Love your posts!! I share them daily with my preschool parents. 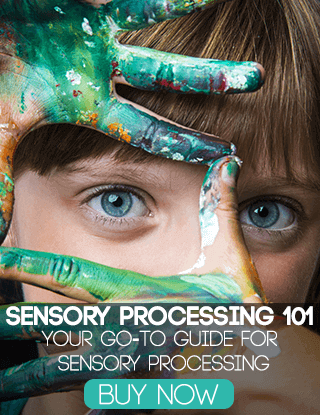 I took a class this past summer on brain development and I am so excited to learn so much about sensory processing. I love being able to learn all I can to share with parents and to help the children in my classroom! Have you heard of SMART Pre-K? Check it out! That is so sweet to hear! Thank you! I love this idea! This will help my son with his need for proprioceptive input. He will be going to kindergarten next year and this can help him with his focus on school. Thank you for posting this. Even if I do not win, I am still going to purchase it for him – maybe one for preschool and the other for home. My 7 year old son has SPD and we homeschool. 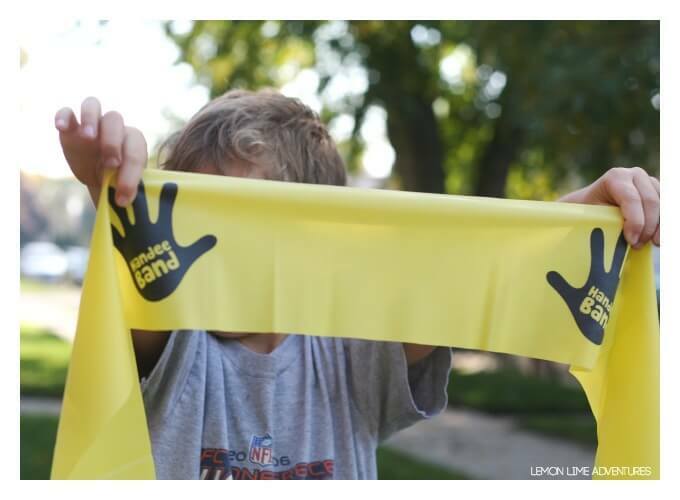 I love that the Handee Band gives activities that strengthen and provide the sensory input my kiddo really needs. Thank you for this giveaway opportunity. Your blog has become one of my must reads. You write wonderful content! Thanks for being a thoughtful, useful resource! Thank you for reading and thank you so much for your kind words. This is such a fun and awesome idea. Perfect for a little exercise while stuck indoors all winter! Don’t forget to let us know how they work for you! 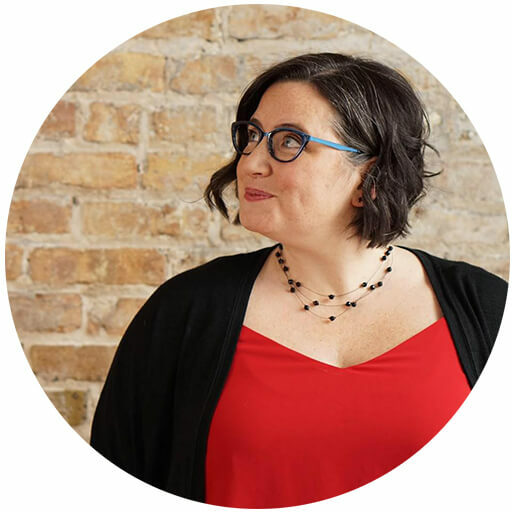 Love your site, all the great ideas and information! 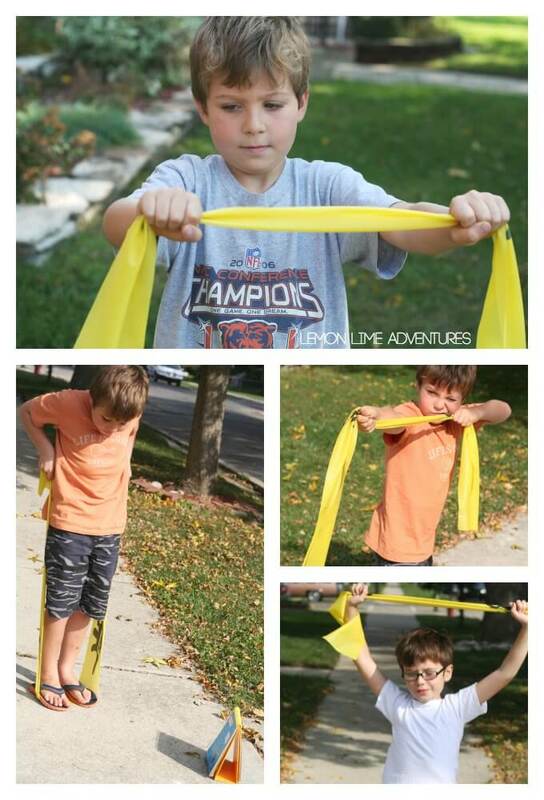 I have two little guys who have sensory challenges and would love the handee bands for a brain break!! Wonderful! We really love them! 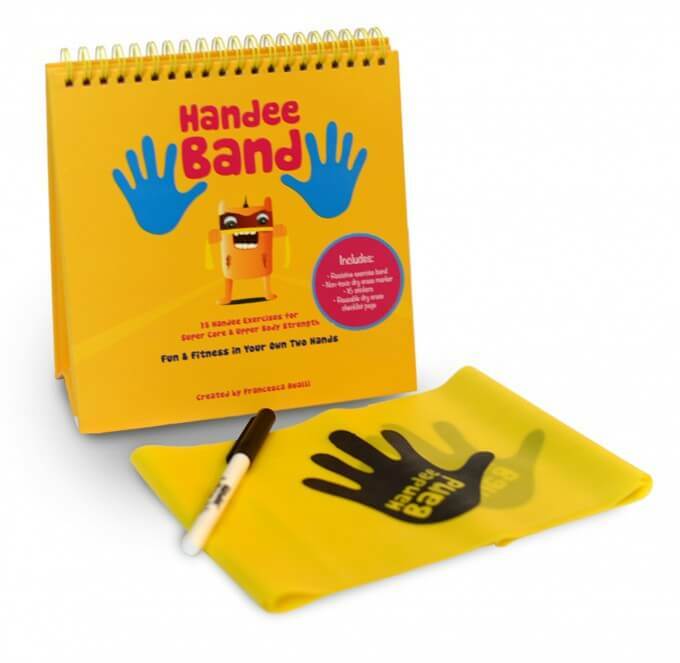 I think this is just what my son needs…..having the HandeeBand book to share with teachers at school would be awesome. I know there are so many children, particularly boys, at the school who could benefit from having brain breaks!!! The Helicopter exercise. Love the idea, and would love to win. Good to keep the kids Active and Fit. Whilst the whole family could share exercise programme information, thus supporting each other. As I have used a similar band at :- Physiotherapy, Gym, Exercise class. Whilst other family members have used similar band at Falls Prevention Classes, Osteoporosis Classes, Exercise Class, Gym. Health is important, and exercise is so beneficial. Would be a great gift for the children. It is the perfect gift! This is such a great idea. It can be like a reward, something fun to look forward to after sitting and concentrating for awhile. I know my son would love this! I have a very active boy who could use this — ha, ha! If your boys is active, this is perfect! I think your daughter will absolutely love this! We use this every day! It is extremely helpful! I agree! I love this!! My kids would love airplane with this!! I think this would be wonderful for my kids! I know my super active kiddos would love these! I am sure your kid would love it! My son is a very active little guy and has to take breaks while homeschooling. I try to keep things as relaxed and kicked back as possible. This would be great when he needs a break, especially the bow and arrow! Wow, this post is very informative. Keeping this in mind for when my boys move into their school-age years! 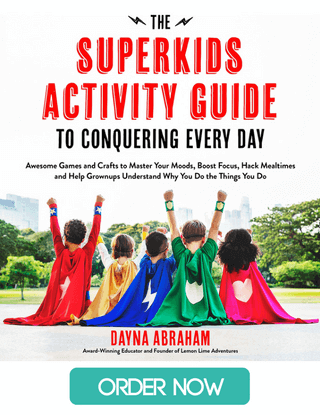 My daughter is very active and this would be a great asset to have for our homeschool. Glad I found out about it! Wonderful! So glad you like it! This is great for a homework break. We always make our boys take some kind of break whilst doing their homework. Especially math. Good way to start the stretching habit early in life! This is great for getting children interested in health and fitness. Thank you for sharing this post. What a simple way to promote kids to do exercise. We currelntly use therabands with “little man”, but I love the idea of a book that already has suggested exercises (with cool names to boot!). What a great way for him to have some autonomy in regulating his system and not have to be dependent on me to come up with ideas!